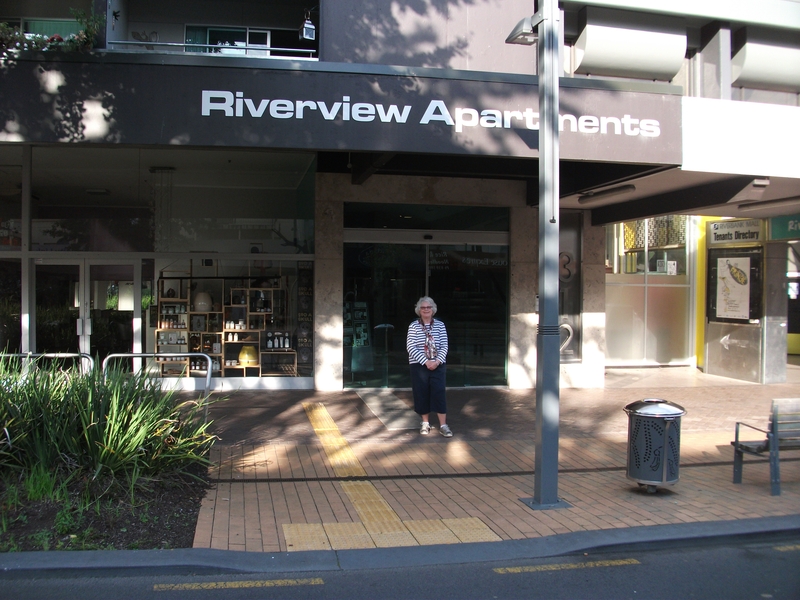 Emeritus Professor Otto Stockmeyer is teaching this term in Cooley’s study aboard program in Hamilton, New Zealand. He received the Socrates Award from the Hellenic Bar Association for effective use of the Socratic method of teaching and was the first recipient of the Cooley Student Bar Association’s Barristers Award for contributions to student-faculty relations. What a pleasure it is to be teaching in Cooley’s study abroad program in New Zealand this term. Let me take you on a short photographic tour. 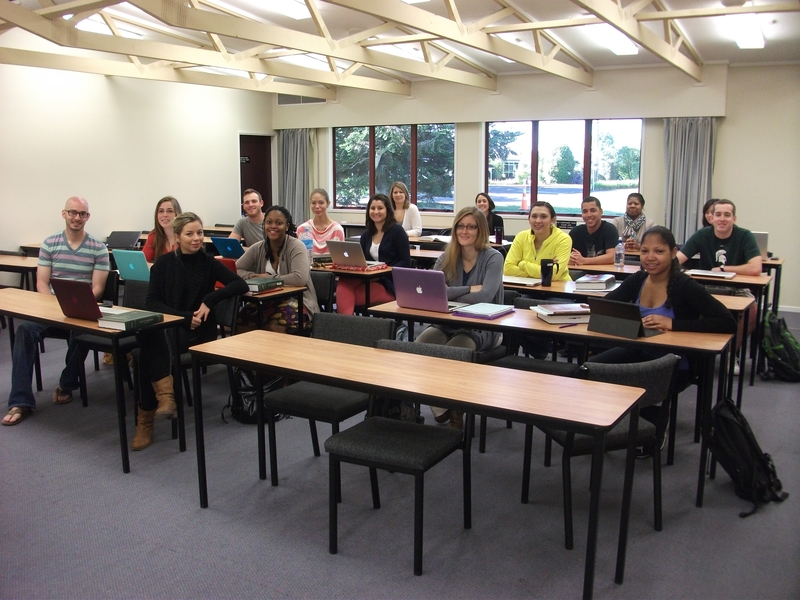 First is a photo of my Equity & Remedies students in the classroom we are using at the University of Waikato, where I also enjoy the use of a well-equipped office. Next is the lovely entrance to the law school building. 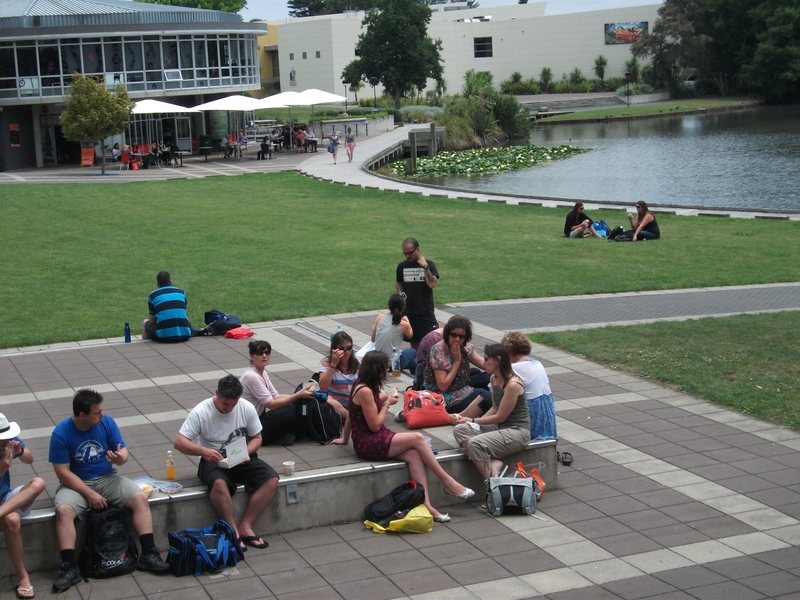 Students enjoy lunch and the chance to relax on a patch of campus near the law school building. Outside our apartment on Victoria Street in downtown Hamilton, which is party central for the 30,000 college students who attend its three institutions of higher learning. 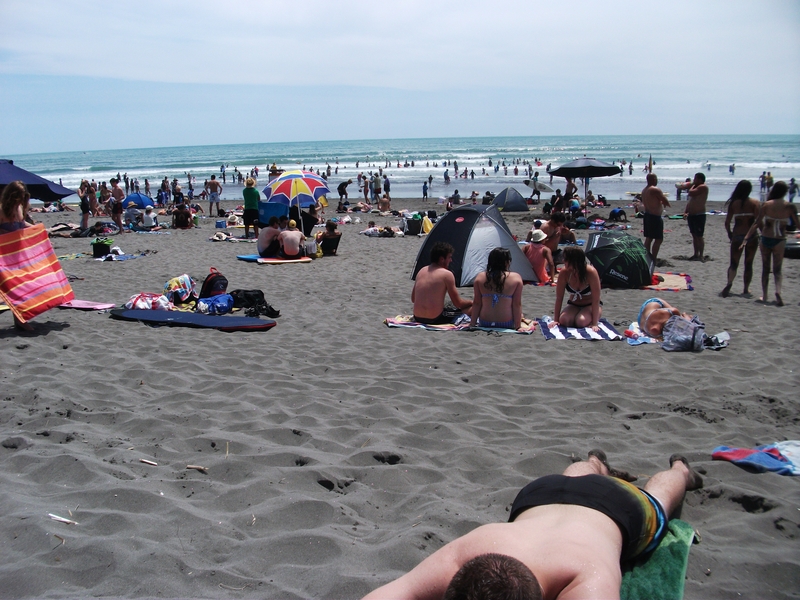 Our students enjoyed the Cooley-sponsored trip to the black-sand beach at Ragland on the Tasman Sea, which is renown for the finest left-curling surfing waves in the Southern Hemisphere — no, it has nothing to do with how water spins down the drain! As Professor Terry Cavanaugh constantly warns me, one must always remember to look right, not left, for oncoming traffic before crossing the street. I might add that in New Zealand, law is taught as an undergraduate subject. 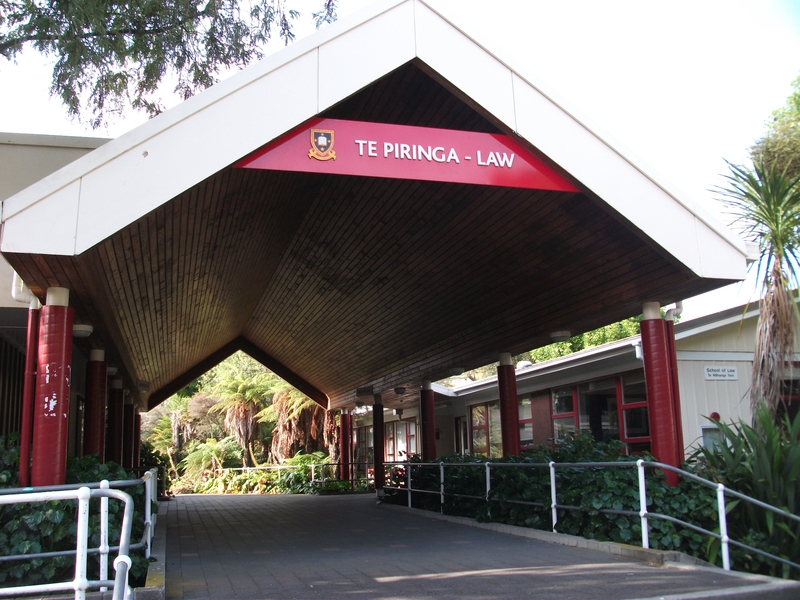 Students straight from high school can earn a LLB degree at Waikato University in four years (or less, if they take summer-school courses). Then a series of post-graduate professional skills course are required before admission to the High Court as a barrister and solicitor. No bar exam (except for overseas lawyers seeking a New Zealand law license). As it turns out, New Zealand is far from the only country where law study takes place at the undergraduate level. It is true as well in Australia, China, Japan, and Korea, although those countries are slowly moving to the American model. And a college degree is not required for the study of law in much of the western world, including England, Scotland, France, Germany, Italy, and the Netherlands. According to a recent publication, of Australia’s 34 law schools, at least six now offer post-graduate JD degrees either exclusively or (more commonly) in addition to the undergraduate LLB.